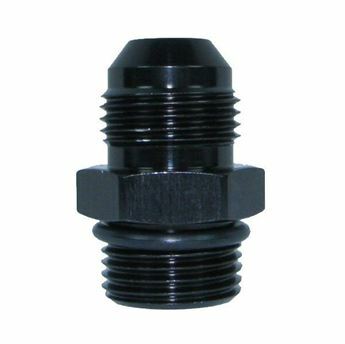 Speedflow's range of fittings are unique and innovative in design with strong full flow Hose Ends and Adapters which are not made the conventional way by brazing but are bent in specialized equipment to produce a compact solid one piece bend. These bends are as low and strong as forged fittings but with the advantage of a swept full flow bend. Speedflow’s alloy fittings are made from marine quality 6061 billet Aluminum for superior corrosion and fatigue resistance.